Nearly five years ago, Meridian had set out to do what no other organization had ever attempted – engineer and design the first full-conversion refinery in the U.S. to achieve Synthetic Minor Source status for air quality, and Meridian accomplished that task on June 13th, 2018. The Davis Refinery is now fully permitted. This achievement was the result of a long, arduous and intensive process, with numerous agencies and governing bodies participating or monitoring every step. Many doubted Meridian’s ability to accomplish this, but Meridian Energy Group and its engineering partners were confident in their vision, determination, and design capabilities to permit the Davis Refinery as the cleanest refinery on the planet. Nearly five years ago, Meridian had set out to do what no other organization had ever attempted – engineer and design the first full-conversion refinery in the U.S. to achieve Synthetic Minor Source status for air quality, and Meridian accomplished that task on June 13th, 2018. However, even before Meridian was able to apply for the Permit to Construct (PTC) application from the North Dakota Department of Health – Air Quality Division (NDDoH), Meridian had to apply for siting permissions in the form of a rezoning and conditional use permit (CUP) from Billings County. As part of the CUP process, the county was tasked with the comprehensive review of the location of the Davis Refinery and its impact on the local environment and surrounding areas. Billings County issued CUP in July of 2016 after a review so detailed it took approximately two-to-three-times longer than a typical review of similar magnitude. With the siting of the Davis Refinery fully approved by Billings County, Meridian completed additional site-specific engineering, and in November of 2016 submitted its application for the PTC to the NDDoH, beginning an 18-month review of the Davis Refinery engineering by NDDoH. The PTC application and supporting engineering represented a convergence and integration of the latest and best available control technology ever assembled in a modern refinery. 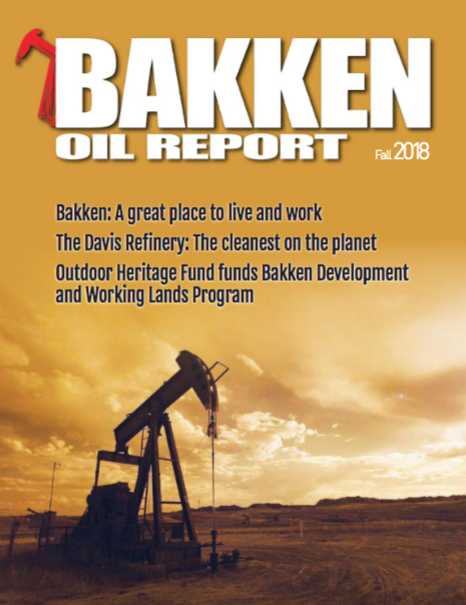 The scrutiny and demands made by the NDDoH were intense, including the need for the Davis Refinery to achieve and maintain Class 1 Air Quality standards during full operation due to its proximity to the Theodore Roosevelt National Park. On June 13th, 2018, Meridian was issued the PTC for the Davis Refinery. The NDDoH ensured that its extensive review and approval would be bulletproof and binding. The department even included and welcomed the perspectives of potential opponents, such as the EPA and the National Parks Service, throughout the review process to ensure the outcome was sound and could not be challenged. 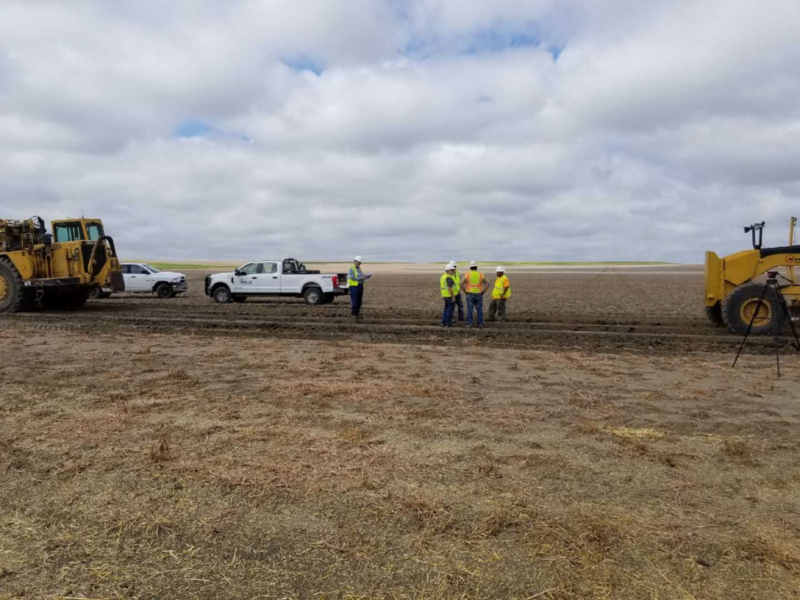 Their confidence in the review and the lengths they went to protect the decision and the air quality of Western North Dakota was just as innovative as the project they were reviewing. “We put a lot of work into that, and we’re confident that our numbers are correct. It was a very extensive review, and we feel it does demonstrate that it was a minor source,” said Terry O’Clair, director of the State Health Department’s Air Quality Division, on the Davis Refinery air quality permit issued. The voices of the citizens of Belfield and the outlying communities were also heard, and the agencies took the time to review hundreds of public comments issued on the Davis Refinery, some that supported and others that challenged the science behind the decision to approve Davis for construction. And in the end, the department stood by its decision and joined the Billings County Zoning Commission as firm believers that the Davis Refinery was not only in the ideal location, but would set the standard for refining for years to come.